- Hems on all 4 sides for extra strength. 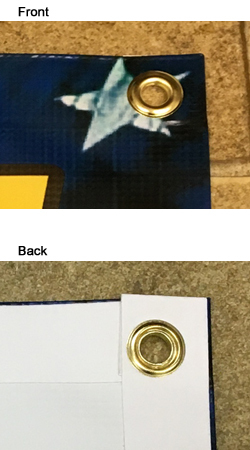 - Grommets can be installed for easy hanging upon customer request. Select preferred way from the options. Other fonts are available. If want, click here and let us know which fonts you like. 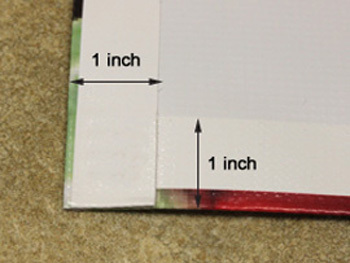 All 4 sides are hemmed using banner hemming tapes for extra strength. This banner can be customized and printed with your text, images, and logos. Please leave a note of instruction of customization in a message box when you check out. If you would like to add your pictures and logos on the banner, please send us by email at service@CustomPrintBanner.com. We will send you proof(s) of customized banner by email within 24 hours after receiving your order. Before clicking on "Add to Cart", please recheck all the options you have chosen.